Cyprian was born in 208AD in North Africa, of wealthy and distinguished pagan parents. He was a prominent trial lawyer and teacher of rhetoric. 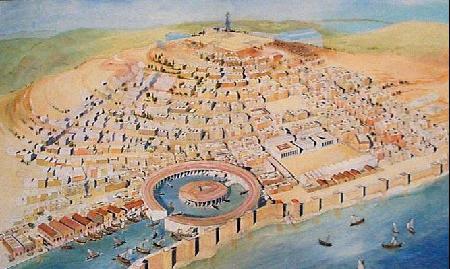 Around 246 AD Cyprian became a Christian, donating a portion of his wealth to the poor of Carthage. Following this, in 248, he was chosen as Bishop of Carthage. A year later the persecution under the Emperor Decius began, and Cyprian went into hiding. After the persecution had died down, it remained for the church to consider how to deal with the lapsed, meaning with those Christians who had denied the faith under duress. Cyprian held that they ought to be received back into full communion after suitable intervals of probation and penance, adjusted to the gravity of the denial. In this he took a middle course between Novatus, who received apostates with no probation at all, and Novatian, who would not receive them back at all, and who broke communion with the rest of the Church over this issue, forming a dissident group particularly strong in Rome and Antioch. Novatus, later and somewhat surprisingly, ended up joining the party of Novatian. Cyprian, who held the same opinion as the Bishop of Rome on the treatment of the lapsed, wrote urging the Christians of Rome to stand with their bishop. Later, the question arose whether baptisms performed by heretical groups ought to be recognised as valid by the Church, or whether converts from such groups ought to be re-baptised. Cyprian favoured re-baptism, and Bishop Stephen of Rome did not. The resulting controversy was not resolved during Cyprian's lifetime. 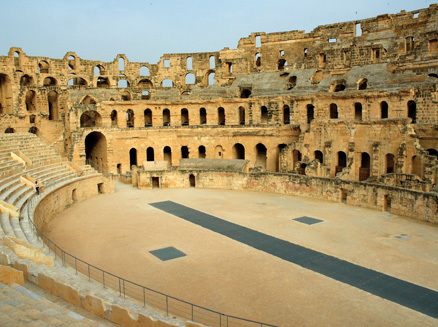 During the reign of the Emperor Valerian, Carthage suffered a severe plague epidemic. Cyprian organised a programme of medical relief and nursing of the sick, available to all residents, but this did not prevent the masses from being convinced that the epidemic resulted from the wrath of the gods at the spread of Christianity. Another persecution arose, and this time Cyprian did not flee. On September 13, 258, he was imprisoned at the behest of the new proconsul, Galerius Maximus. The following day he was examined for the last time and sentenced to die by the sword. His only answer was "thanks be to God!" The execution was carried out at once in an open place near the city. A vast multitude followed Cyprian on his last journey. He removed his garments without assistance, knelt down, and prayed. After he blindfolded himself, he was beheaded by the sword. Many of St. Cyprian's writings have been preserved and stress the importance of visible, concrete unity among Christians, and the role of the bishops in reinforcing that unity. It has greatly influenced Christian thought, as have his essays and letters on Baptism and the Lord's Supper. His feast day is September 28th. *The Vandals were an east Germanic tribe that entered the late Roman Empire during the 5th century. Although they were not notably more destructive than other invaders of ancient times, Renaissance writers who idealised Rome tended to blame the Vandals for its destruction. This led to the coinage of 'vandalism', meaning senseless destruction.